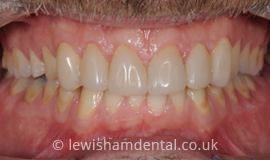 Luckily these days there is an alternative – white composite resin that matches your tooth colour exactly. This material is a little more expensive than amalgam but the benefit - retaining the appearance of your natural teeth - is priceless. We still use amalgam in new fillings but we use composite more often. Many of our patients with old amalgam fillings are also coming in to have them replaced with white composite, for cosmetic reasons or because they are concerned about the safety of amalgam. We are guided by the British Dental Association, which states that amalgam is safe. 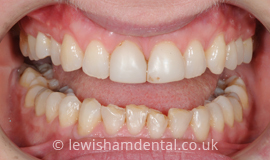 For large cavities and fillings there is another restorative option: a hard-wearing and long-lasting piece of tooth-coloured material that is designed and milled to exactly fit your tooth. There are two types: Onlays, which are smaller than crowns but still quite extensive restorations involving one or more cusps (the pointy part on the biting surface of your teeth); and inlays, which are smaller and do not involve the cusps. 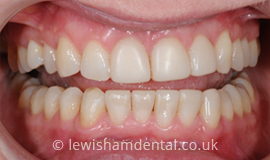 We use glass-ceramic composite Signum inlays and onlays, one of the most respected brands on the market. 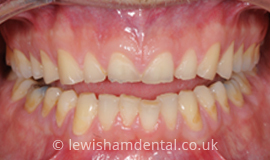 Signum restorations are very durable, even under high levels of stress, and they have a deserved reputation for their outstanding aesthetic qualities. We recommend white fillings and inlays and onlays for a natural-looking smile. 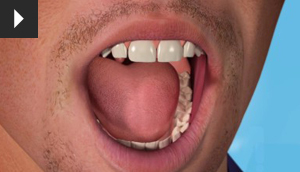 If you want to replace your old amalgam fillings, please contact us. You can call us at 020 8852 3000 or email us through this website and we will get back to you. Alternatively you will find us right in the Lewisham Town Centre on the Lee High Road, close to Blackheath, Greenwich and Catford.